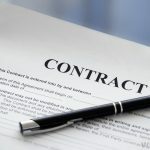 Contract Law And How to Creat A Legally Binding Contract. Contract Law And How to Creat A Legally Binding Contract. Contracts hold the business world together. These are the agreements that organisations, individuals, companies and governments make with one another to ensure the smooth exchange of goods and services. Whilst every contract itself is different and will contain specific information about the goods and services to be exchanged. All contracts have similar elements and today we will go through what the basic similarities are between all contractual documents. The first element of a contract is the offer. This is where one party makes an offer to another party in contractual agreement. The offer may be for goods or of services. At this stage the offer is not binding and it is open to counter offers and alterations of the offers initial condition. Sometimes advertising can act as an offer, such as first come first serve offers. By the terms of the advertising offer they are contractually bound to offer those goods at that price if the goods are in store. In general advertising is not considered to be an offer. The second element of a contract is acceptance. The party being made the offer must accept the offer for it to be valid. Non-response or silence is not considered to be assent in this case.. The offering party may withdraw the offer prior to acceptance as long as this is clearly communicated by the offering party. Number three: the third element of a contract is consideration. A consideration in this case is something of value that is offered by each of the parties. If I offer to sell somebody my old television they must offer a reasonable amount for the television and I may choose then to accept that offer. If I decide that a reasonable amount for my old television is $100 and I am offered $10 dollars for the television then to me that is not a reasonable consideration. The fourth element of a contract is the mutuality of obligation. Under law this is where both parties are deemed to have an equal responsibility to fulfil the conditions of the contract. If it is decided by a court of law that one of the contractual parties is unfairly biased in the contract then the contract may be rendered null and void. If for example my TV does not have a remote control then the agreed-upon price may not suffice for the mutuality of obligation. To remedy this I may have to reduce the price of the television or provide a remote control. The fifth element of the contract is competency and capacity. This refers to the liability that both parties are under when they enter a contractual obligation. Both parties must have the capacity to enter a legally binding contract. This means that they can’t be drunk or under the influence of drugs or a minor as considered by the law. Minors is cannot be held to legally binding contracts in some states and territories. The last element of a contract is the written document itself. 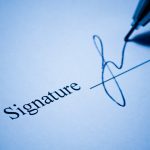 Now this is not absolutely necessary as some contracts can be binding on the less formal arrangements such as the handshake or a verbal agreement however these are very difficult to prove in a court of law. Most contractual obligations have some form of physical manifestation of the conditions of fulfilment for the contract. It is possible to write a contract on any form of media such as a tablecloth or napkin and contracts can be in electronic form and are equally valid and binding. Contractual obligations assist us in understanding what it is that we are expected to do. Also what we are expected to receive for undertaking those considerations. Most of us have some form of contractual obligation with our employer. Outlined in that contractual obligation will be a set of duties that we are expected to perform. In return for completing that particular set of duties is a provision by the employer to remunerate us for expediting those duties. In addition to the straightforward exchange of services for money may also be a variety of conditions and clauses in the contract that define how the relationship will be conducted. Such as a provision in the contract that the employer will ensure provision of a safe workplace. In return we agreed to conduct ourselves in a safe manner within the workplace. Australian Robot Lawyer Goes Online.